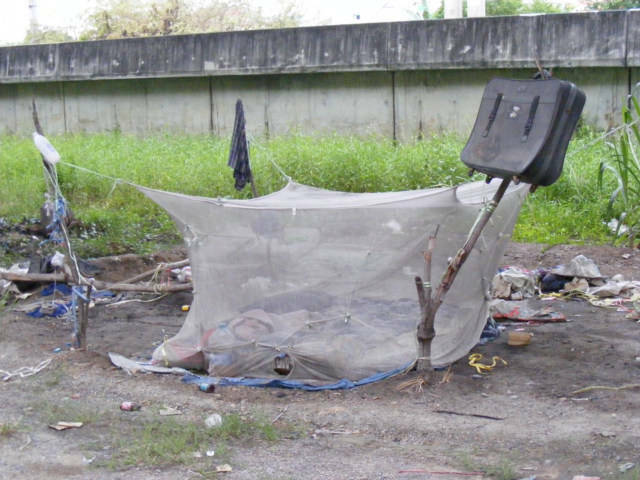 I pass by a home made out of a Mosquito net as walk under and overpass on the way to a fresh food market here near Rangsit, Thailand. I sometime see the owner of this living quarters lying on a couch. I think he is employed as a person who collect plastic bottles and sells them to a recycling company. 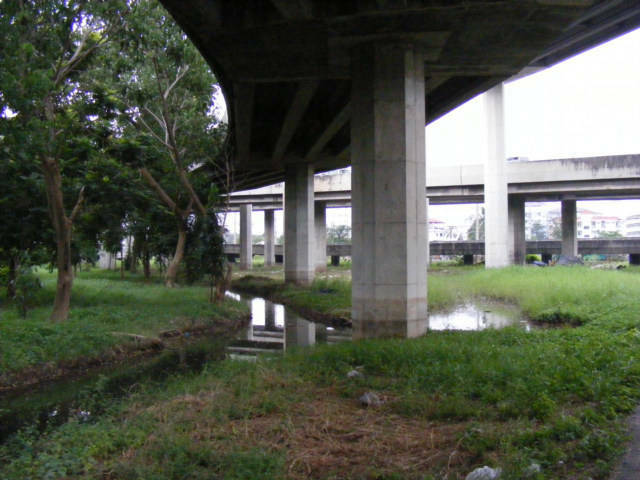 This is the overpass; it does make a good shelter from the rain.